At a Suresearch Review Day in 2006, a member, who was then an inpatient of the Birmingham and Solihull Mental Health Foundation Trust (BSMHFT), said that he thought Suresearch was ignoring the issues of inpatients. As a result of the discussion that followed the first meeting of the IPCF took place in September 2006, and the group has met regularly since. Over the last 11 years group members have been involved in a range of education and research projects. The initial meetings of the group focussed on two issues: the contribution of Art Therapy to a positive in-patient stay, and the mentoring of newly qualified mental health nurses in the BSMHFT. Maureen Smojkis, an Assistant Director of the Centre of Excellence in Inter-Disciplinary Mental Health (CEIMH) and a member of IPCF, was working with the BSMHFT to develop training so that new nurses could deepen their understanding of the experiences of service users in inpatient care. In 2007, the BSMHFT introduced the Tidal Nursing Model of nursing in two of the Trust’s acute psychiatric wards. This model promoted the view that the key task of nurses was the creation of a therapeutic relationship with patients. The IPCF was involved in the writing of a Tidal Model Handbook for staff as well as creating accompanying videos in which Suresearch members discuss the principles of the Tidal Model. In 2008 Forum members collaborated with a number of academics at the University of Birmingham. One proJect, with Dr Alison Coates from the School of Nursing, created voice recordings and videos made by mental health service users for use in nurse education. These explored the negative and positive experiences of taking medication. Another project, with Rachel Spector (a psychologist at BSMHFT) and Maureen Smojkis, aimed to devise psychologically based training material to assist in-patient staff to work more effectively with in-patients. In 2009, Sue Tapper, a psychiatric nurse at BSMHFT, gave a presentation to the IPCF on the use of Complementary Therapies. IPCF members participated in a multi-disciplinary workshop of the BSMHFT ‘s Preceptorship programme, for newly qualified nurses. Jo Barber, a Suresearch member, designed a questionnaire on the “discontinuity of care” in Crisis/Community Care and this was discussed by the IPCF. Jo also updated IPCF on a project within BSMHFT relating to spirituality and inpatient care. She wrote a training manual for clinical staff in spiritual care, available here, and this was completed for the start of 2010. Jo Barber’s Spiritual Recovery Scale was developed using a “Scoping” Day held at the CEIMH in 2010 to start the ball rolling. In recognition of her work, Jo was made an Honorary Research Fellow of the BSMHFT in 2011. IPCF members continued to collaborate with Maureen Smojkis on a series of Digital Stories. Following a visit from staff from the Birmingham University Trust in 2012, IPCF members participated in a number of Mental Health Forum meetings for staff at the University Hospital. Jo Barber’s paper on her Spiritual Recovery Scale was accepted for publication by the Psychiatrist journal. Jo then started developing a mini version of the scale, suitable for use in clinical assessments. A full account of this work is available here. IPCF members were invited to contribute case studies for a six-day Leadership Module for BSMHFT nurses. They also contributed to the 2012 World Mental Health Day in October at Birmingham Queen Elizabeth Hospital, giving presentations at this event. The start of 2013 saw the IPCF intensely involved in discussions about the BSMHFT proposed Integrated Care Pathway (ICP) and its evaluation. Unfortunately, the ICP was not introduced. 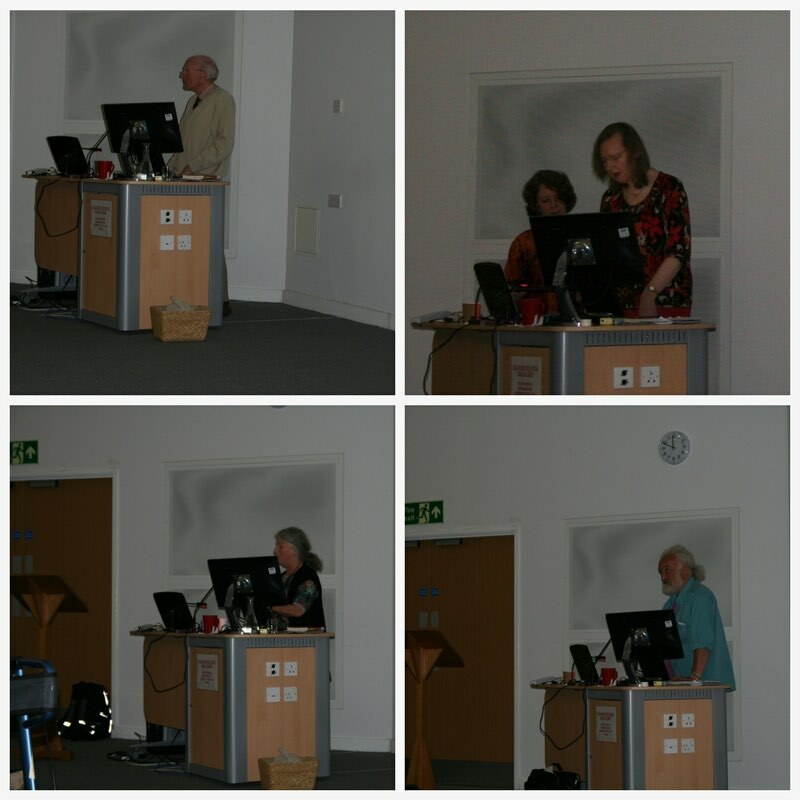 In 2014, Barbara Fawcett, Professor of Social Work at the University of Birmingham began work with Maureen Smojkis on a book of writings on service user involvement in health and social care, and IPCF members discussed possible contributions. 2014, saw IPCF focus on another research project initiated and worked up by Jo Barber. This proposed study of Compulsory Detention and Treatment (CDT) was designed as a retrospective study, interviewing people who had experienced CDT in order to ascertain the crucial factors that could make this experience acceptable. The project, was developed in some detail but the IPCF has, so far, failed to find an interested funding agency, despite evidence of a worrying growth in the numbers of inpatients detained and treated on a compulsory basis. At the end of the year IPCF members collaborated on the design and delivering a of a three-day training programme on “Reflective Practice in Wellbeing and Resilience” for BSMHFT managers. In 2015, the IPCF focused its concerns on the new Code of Practice (CoP) to the Mental Health Act 1983, which came into effect 1st April 2015. This change in the CoP led to a rapid growth in the development of Seclusion Rooms in BSMHFT (and nationally), because Mental Health Hospitals were required to have dedicated Seclusion facilities. In tracking the impact of this, IPCF members have discussed the development of the West Midlands Triage system, which involves Community Psychiatric Nurses and Paramedics accompanying police officers to reduce the use of Section 136 (Mental Health Act 1983) and of police cells and A&E Departments as ‘places of safety’. This year has seen a member of the IPCF become a service user governor of the BSMHFT and the IPCF starting to work as a steering group for the third phase of Jo Barber’s Exploration of Personal Recovery research. Members have celebrated the publication of the book, Service User and Carer Involvement in Health and Social Care. Chapter 6, ‘Exploring resilience and well-being: crossing the boundaries between service user and practitioner’ is written by Maureen Smojkis and draws on the input from IPCF members. In addition the IPCF has close links with the University of Birmingham Health Service Management Centre’s research project on the role of the voluntary sector in mental health crisis care, funded by the National Institute of Health.